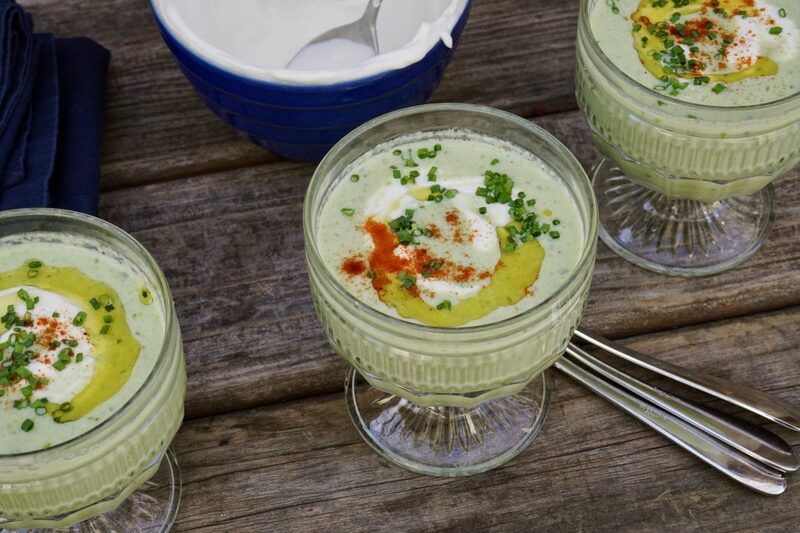 Nothing says summer to me like chilled soup. As I mentioned in a post last year, my family lives on gazpacho. I make my quick gazpacho year-round, as it is a family go-to even when the weather turns California cold. In the summer, I make double batches. 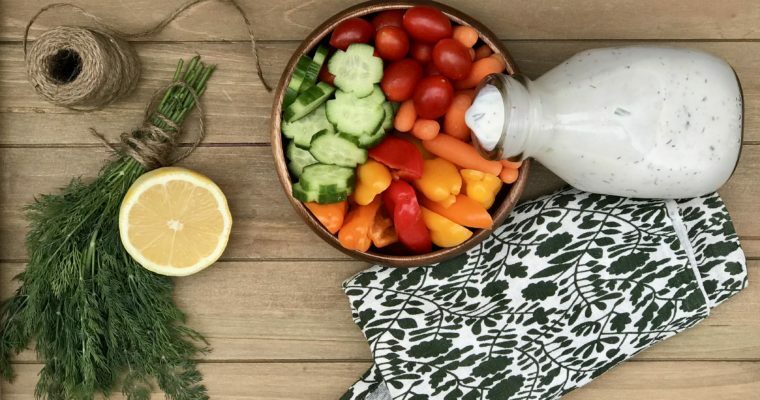 Any time of year, it is a wonderful, healthy go-to snack or lunch. Over the years, I have enjoyed many green gazpachos. Yet for some reason, I never spent the time developing my own green gazpacho recipe, until now. I’m not sure what inspired me: maybe the warm summer weather or maybe the desire to eat well without actually cooking anything. But regardless, I think that this is a keeper. 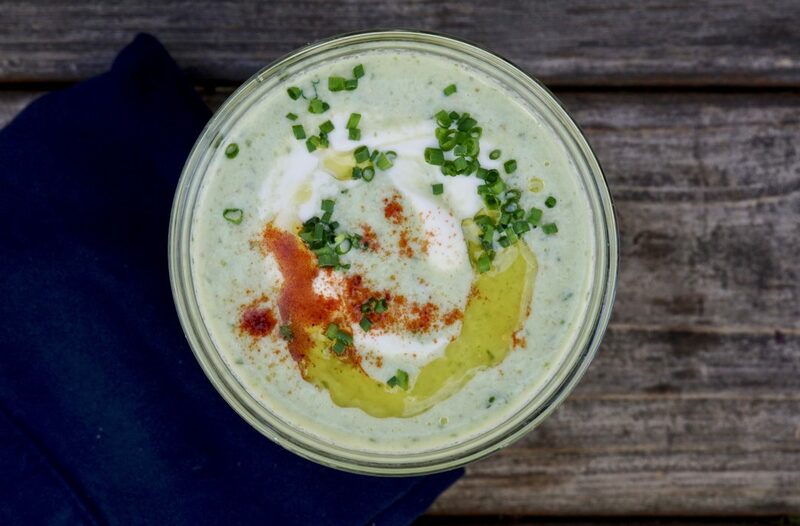 To be fair, gazpacho—and chilled soup generally—is not for everyone. 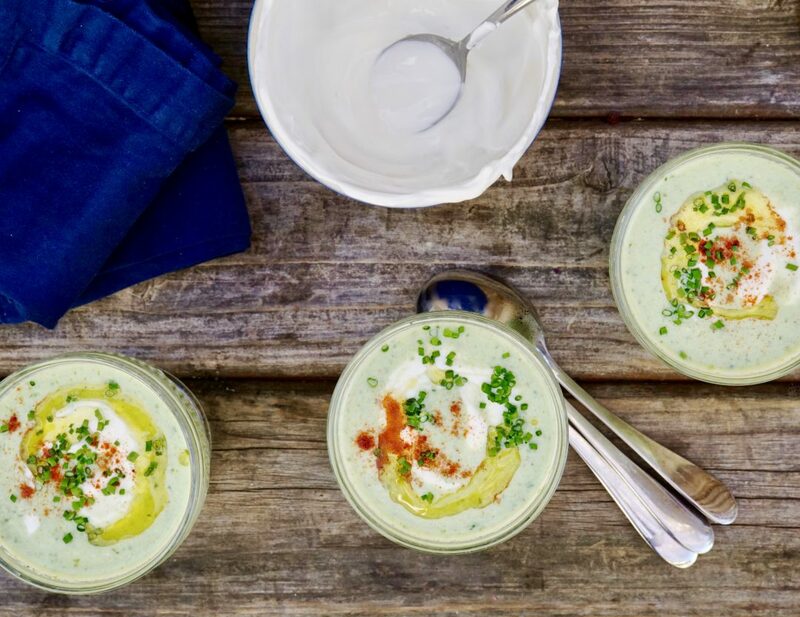 So if you don’t like chilled soup, like one of my closest friends, I’m not going to say that this will convert you. but if you’re going to experiment, nows the time. Some chilled soups lack flavor or depth. And cucumbers, peppers and tomatillos are not necessarily robust. You can help the subtle flavors with seasoning, acidity, and added texture. I think that this well-seasoned gazpacho recipe is quite flavorful, in addition to being seasonal and healthful. Bread is a common ingredient in gazpacho and one I don’t use in my quick gazpacho recipe. Here, I think it’s perfect and adds depth and also works as a thickening agent. Like my other gazpacho recipe, this is not perfectly smooth—it has texture, though you can adjust this to taste when you decide how finely to puree the ingredients. 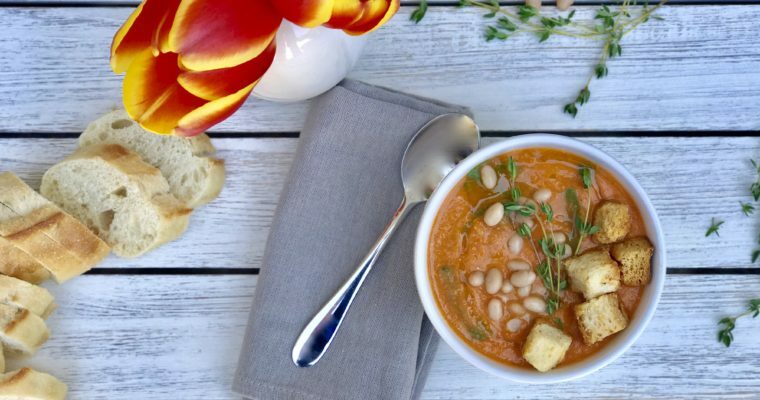 I think that this is a great make-ahead soup option for small dinners or even large gatherings. Making it a day ahead allows for the flavors to blend even more. I have served gazpacho “shooters” at parties as an hors d’oeuvre on hot summer nights. Alongside a class of crisp white wine or some refreshing white wine sangria, I can’t ask for more. Step 1 Using a kitchen mixer, such as a Cusinart filled with a blade attachment, add the cucumber, green pepper, tomatillos, garlic, jalapeño, scallions and bread. Blend on high for 1-2 minutes till very blended. Add 1 cup yogurt, vinegar, lime juice, salt, 1/3 cup olive oil and pulse to blend. Step 2 Chill the gazpacho for at least 1 hour. Step 4 To serve, divide the soup among serving bowls. Place a generous dollop of the yogurt-mixture in the soup, use a spoon to slightly swirl the yogurt. Drizzle the raining 2 tablespoons. Garnish with some chopped chives and a dash of smoked paprika.